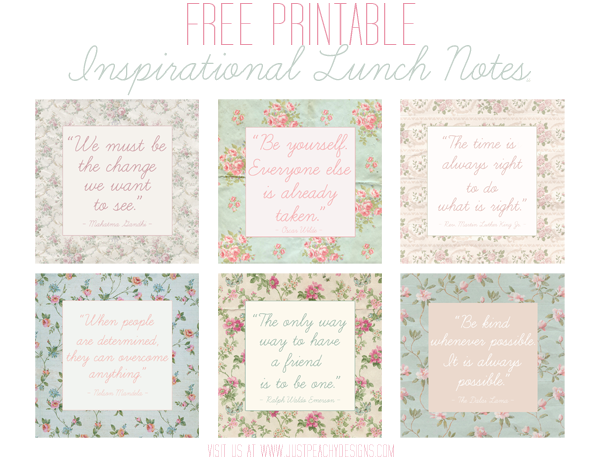 Here's a free set of printable lunch notes featuring inspirational quotes from Gandhi, Nelson Madela, the Dalai Lama and others set against beautiful vintage floral backgrounds from Far Far Hill. Just click the image above to download. Enjoy!